ESPN Personality Paul Finebaum Signs Multiyear Contract Extension - ESPN Press Room U.S.
ESPN has reached a multiyear contract extension with radio personality Paul Finebaum to remain a key contributor on ESPN and SEC Network. Finebaum will continue his presence across a number of high-profile network shows and programming, including as the host of The Paul Finebaum Show and as an analyst on SEC Nation. Finebaum, easily the most recognizable voice of the SEC, launched his eponymous show on ESPN Radio in August 2013, and has brought his signature reporting style and colorful callers to the airwaves ever since. Airing weekday afternoons on SEC Network, the program showcases Finebaum’s fascinating fan base and his extensive knowledge of the SEC. Complementing his daily hosting duties on The Paul Finebaum Show and weekly appearances on SEC Nation throughout the fall, Finebaum is featured on a variety of additional ESPN programming, including Get Up!, First Take, SportsCenter, College Football Live, Finebaum Film Room and College GameDay. 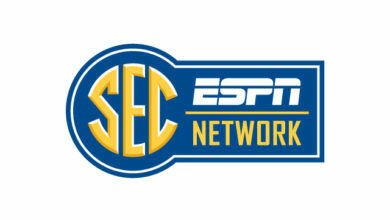 Finebaum will be part of SEC Network’s special summer edition of SEC Nation from SEC Summerfest Presented by Regions Bank, with the July 15 show kicking off 45 hours of live coverage from Atlanta ahead of next week’s SEC Kickoff.